Stroke rehabilitation technology which patients can operate in their own homes while playing computer games, is being developed by academics at the University of Southampton. Therapists, doctors, engineers and psychologists at the University have come together to set up ARM (Assessment, Rehabilitation, Movement) – a unique initiative that is using ideas from industrial robots to help patients regain and control movement of the arm and hand after a stroke. “We felt it was important for people to have fun while they recovered,” said Professor Jane Burridge of the University of Southampton’s School of Health Sciences. “In fact we find it’s often difficult to get them to stop playing the computer games! Professor Burridge is leading the ARM team, which is the first group to take such a comprehensive approach to upper limb stroke rehabilitation. The pioneering system developed by researchers at the University’s School of Electronics and Computer Science, working with colleagues in Health Sciences, aims to retrain weak or paralysed arm muscles in patients who have suffered brain damage as a result of a stroke. 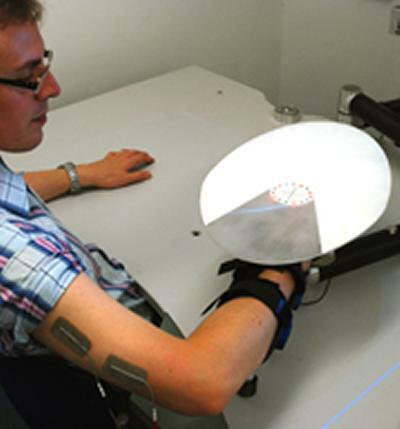 After initial successful trials at the University, the ARM researchers are now applying the system to retrain hand and arm function using computer games technology. Their research has attracted considerable attention and interest, including national and international awards. In collaboration with the ARM team, NHS hospitals and the Universities of Bournemouth and Keele, have already attracted a grant of £2 million from the National Institute for Health Research (NIHR) to take rehabilitation technology out of the laboratory and into healthcare practice nationally.